Alex and Allison are truly childhood sweethearts. From meeting in the 4th grade to ending up in the same city after they graduated college, you can say they have been through a lot. Fate, and some divine intervention brought these two amazing people together, so if you think a little rain on their wedding day was a big deal, think again! 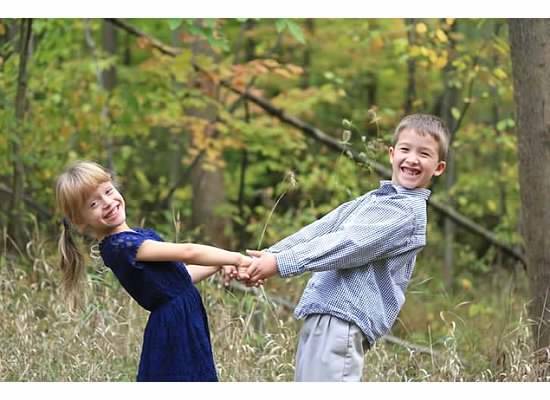 These two have such a sweet and genuine story. We hope you enjoy their wedding highlight! A few weeks back, Wilmington Weddings and Events asked us to film a bridal mixer. It all took place at a posh, yet intimate venue called The Loft on Front. We had a blast meeting some friendly couples and working alongside some very talented vendors. Here’s the film we put together! Michael & Rebecca were married on August 24, 2014. It was 86 degrees out, beautiful and sunny! Those two last words, perfectly describe the bride & groom. The first time I met Michael was at our last planning meeting. He walked into Panera Bread holding & swinging a golf club. I thought they got his order wrong.. Nope, he was just happy to be! Rebecca, on the other hand, had every detailed paper and form nicely prepared into one convenient folder, smiling as she effortlessly went over the final plans of her Big Day. That’s how she rolls, being an Event Planner! It all took place at Gervasi Vineyard, an absolutely stunning venue and one of my favorite places to shoot. Here is their Same Day Edit. Even “Google”, their dog was a special part of their big day!! Michael & Rebecca Same Day Edit from Cuff & Veil Wedding Films on Vimeo. Our last wedding of 2013 was definitely one to talk about! Josh & Lindsey are an amazingly sweet couple. So many details went into their big day, all led by superstar wedding planner Jennifer Hartman of Heart 2 Heart Occasions. We delivered their Feature Film to them and then reworked the edit a bit to create this wonderful highlight film for them. I could talk forever about the details of their wedding day, but it’s just easier to show you their highlight film. We hope you enjoy! Music licensed through the Music Bed – Marie Hines, Always Been You. Josh & Lindsey Highlight from Cuff & Veil Wedding Films on Vimeo. Every year around this time, I reflect back on what means the most in life. It is not planned, it just happens. While it may be cold out, with dirty snow on the ground, and gray muck on the cars, it’s also the time to take in how grateful we are to have the time to spend with our loved ones! This year, on a personal level, my wife and I celebrated our 10 year wedding anniversary in Punta Cana. I trained and ran my first 5K. 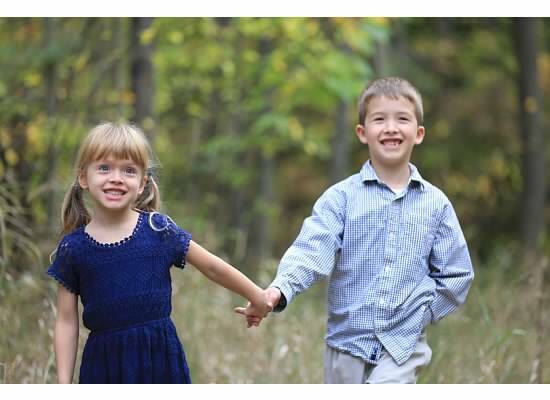 My son started Second grade and my daughter, Kindergarten! We traveled to the mountains of Tennessee and also to the beach. We had teeth lost and enjoyed dance recitals, soccer, Tae Kwon Do, baseball, swimming lessons and gymnastics and sushi, yes lots of sushi. We honored my dad on the 1-year anniversary of his passing by spreading his ashes on his favorite lake where he loved to fish. Lastly, my brother and his wife finally moved back home from Las Vegas, after being there 17 years. We are still looking for the teeth! Needless to say, we created a lot of memories from this year. My couples that were married this year were all super cool to work with! I have been inspired by their love for each other and that really helps us put together an inspiring film. We worked with many new vendors this year and it was a joy to work alongside so many professionals. We had some Friday weddings, and even a few Sunday weddings, which was a welcomed change. My team & I pulled off an amazing feat (not really, but I think so!)! We shot three weddings in two consecutive days. It was a bit crazy, and trust me, I had a hard time getting out of bed Monday morning, but I enjoyed every minute of it! Would I do it again..? Of course, but I would make sure I have some extra Ibuprofen with me and next time I’ll be wearing ice packs! My last wedding of 2013 was at the beautiful Hillbrook Country Club, we had a great time celebrating with Josh & Lindsey! Plus they had an AMAZING S’mores Bar! We hope to have their film ready to view soon so stayed tuned! A few weeks ago, I took my wife and kids to see Christmas lights. Now these aren’t just ordinary Christmas lights, these lights were magical! They synchronized to the music and changed colors. It was almost like being at a Trans-Siberian Orchestra show on a much smaller budget minus the pyro! As my children sang along to Frosty the Snowman, with smiles on their faces, I quietly observed the lights twinkle in my childrens’ eyes. While holding my wife’s hand, it was that moment that I relived all of these memories of this year. I remained silent and took it in, with a smile on my face and tear in my eye. That moment froze in time as I reflected for those few seconds, but I also took a moment to look forward at the many more memories being created with family & friends. I cherish these times. I hope you all do the same. Whether it’s Christmas, or any special holiday that you celebrate, may you create awesome memories with the ones you love. Make it Magical & Be Merry! So, how cool is this? 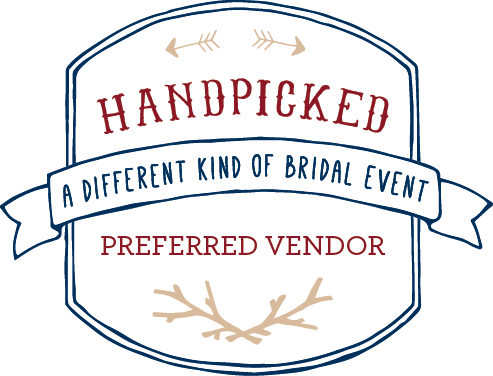 We were chosen to participate in the Handpicked | A Different Kind of Bridal Event. It’s true! We are so stoked to be a part of this non-traditional bridal event, along with teaming up with so many awesome vendors. All headed up by the ever so sweet and talented Baci Designer. What is it, you ask? If you have ever been to a bridal show before… Think the exact opposite! – Expect masses of people. I compare it to herding cattle! – Little or no time to talk to the the vendor(s) you are thinking about hiring for one of the biggest days of your lives! – Endless supplies of “stuff” from vendors you’ll NEVER remember! – Maybe you’ll get cake. – An intimate evening of inspirational details. Great food and tasteful music paired with extremely knowledgeable, friendly and professional vendors that want to get to know you! – A question & answer session with “yours truly” & Cleveland Boudoir! – Did I mention cocktails? – More cocktails.. Oh, and Chocolate!!! – Lots of happy couples! – A special gift for you at the end of the night! -A portion from each ticket sold will be used to support Brides Across America, a non-profit charity making military bride’s dreams come true by providing them with a free wedding gown. 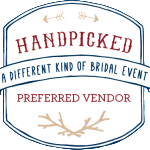 As a preferred vendor I am giving 5 VIP Half-price Ticket Codes to current or potential clients that you feel are the perfect Handpicked guests. Shoot me a message and I can hook you up! I guess I took for granted that my dad would always be around. Now, I know that everyone dies, but I never would have thought it to be him so soon. My dad never said a lot, he didn’t have to. He was a gentle giant. When he did speak, his words were full of meaning, very impactful and always heartfelt. Just knowing his kids were in his house gave him peace and great joy. As a father myself, I never go a day without kissing my beautiful kids and wife because well, you just never know. The day my dad died I missed a call from my mom, so I called her back within minutes, and I will never forget the tone in her voice. Strong and scared at the same time she said “dad fell”. Keep in mind my mother doesn’t like to get anyone worked up, but I could just tell this time was different. I was taken a little by surprise because he had fallen before. He’d been a police officer for 32 years and had his leg damaged from back surgery years ago from a car accident while he was on patrol. She told me she started doing compressions and said “it doesn’t look good; I just want you to be prepared”. I left for PA as soon as I could, crying and praying that my dad would be ok. Now, I pray every day regardless but this one was more of a request to God to ask him to not let him go, so that I, we can all say goodbye to him, to tell him we love him one more time, to just thank him for everything he has ever done. I’d give anything to be able to sit beside him on his boat on Keystone Lake to cast out into the water again. To sit behind my drums while he played his Les Paul and hear his voice singing one of his favorite songs. Turning the street tires into slicks on the old S-10 to make one more pass down the quarter mile, or to just simply walk beside him in the woods before sunrise on the first day of deer while letting him settle at his favorite spot before I moved on to mine. Life changed that day in a blink of an eye. I was in Warren, Ohio that day with my family and in-laws. As I got on the Ohio Turnpike about 3 minutes in, I looked into the sky and saw a rainbow. As much as I didn’t want that to be the sign of my dad passing, it was. It was a beautiful rainbow. Between my balling, praying and driving, I managed to take a picture of that rainbow. It is a horrible picture, but nonetheless one I will keep forever. Minutes after, I got the call from my mom saying he didn’t make it. I will NEVER forget those words, or the tone in her voice, ever! I wanted to jump through the phone and hug her right then. I couldn’t drive at that point; I had to pull over and then continued to cry for the next 40 minutes or so. The irony with my dad dying is that he did so on Labor Day. Ever since I was a child, my father had always worked 3, maybe 4 jobs at a time. He was the Captain of Police in my hometown. He was respected by a lot of people, young and old. The local football team dedicated their game to my dad, along with a moment of silence, the Friday following my father’s death. A lot of the players reside in the neighborhood where he patrolled almost every night where he righted people’s wrongs and always guided them when someone needed help or was down on their luck. Just like at home. My dad died in the kitchen of his house where we grew up, cutting up cucumbers. What is more ironic is he died at 6 PM which is the exact time he was to go out on patrol. His last words to my dear mom were, “Honey, Honey,” with every ounce of love in his voice, I’m sure. He died of a heart attack. Following his death, I couldn’t listen to the radio for more than a week. He loved music and was a great musician. I’ll admit, not having any music on in the car was a weird feeling, but I just couldn’t listen. It was way too hard. My Father was the one who taught me to love and appreciate music from a very early age. I used to drive my parents nuts from banging on pots and pans, while learning to play! Music was always on in our house growing up. To this day, my taste in music is huge, thanks to him. The day after he died, I went to the store to pick up a few things I needed and as I walked the aisles, the song “Wipeout” came on. My dad and I played that song for years when we played together. It was almost bittersweet knowing that my dad loved playing that song only because he was so proud of his son being able to play it. It was pretty symbolic. Some things you learn in life can’t be taught, but instantaneously come to you right when they need to in your life. I learned to be a drummer when I played in his band. Sure I knew how to play before, but with him, I learned to feel the music and play what I feel. I learned less is more. With music, my dad taught me control, timing and to not be too overbearing. Not only did he carry these attributes in music, he carried these traits very well throughout his life and I now practice them daily in mine. It’s habitual. My dad was always ready and willing to lend a helping hand to anyone, even to complete strangers. Sometimes that took him away from being with his family. I realize now that he understood that other people might have needed his help just a little more than we did and he knew we’d be fine. The last time I talked to my dad in person I had dropped my kids off at our midway point from Ohio and Pennsylvania. He turned to me in conversation and said that Tanner is really ‘something else’ and that Jenna was a ‘beautiful girl’. I am so blessed that Tanner & Jenna were able to be a part of his life, if only a short while. Pops will be deeply missed. My kids still talk about him pretty often! As we were leaving, he told me he loved me and I did the same as I kissed his cheek. In hindsight, I think he almost knew this would be the last goodbye, the last time we see each other. He hugged me just a little tighter that day. One thing that will stick in my mind forever is the display of emotion at his visiting hours from the three officers that worked together and his partner from his days working in probation. They proudly stood guard at my dad’s casket led by my dad’s best friend and fishing buddy Bill. They never left the entire time we were there, standing for 7 hours or so. It was tough for me to see grown men cry but just another token of how much my dad meant to a lot of people. It was unforgettable. Thank you! I remember my dad telling me a long time ago that I will one day be surprised to how many people knew him. It was proven at his viewing, with over 1000 people that showed up, most of them telling me stories of how he changed their lives. My dad’s legacy is what really inspired me to create cuff & veil. As I was collecting my thoughts & writing down everything regarding this story, the words Fresh, Sweet and Timeless were the ones that stuck with me. All because cucumbers are fresh, honey is sweet and rainbows are timeless. Those words are sprinkled throughout my site, my life, and in the films I now create. Never stop telling your dad, or anyone you care about, that you love them. If you haven’t told them recently, now is a good time to start. Think of it this way, my dad gave me life.. What would my life have been without him in it.